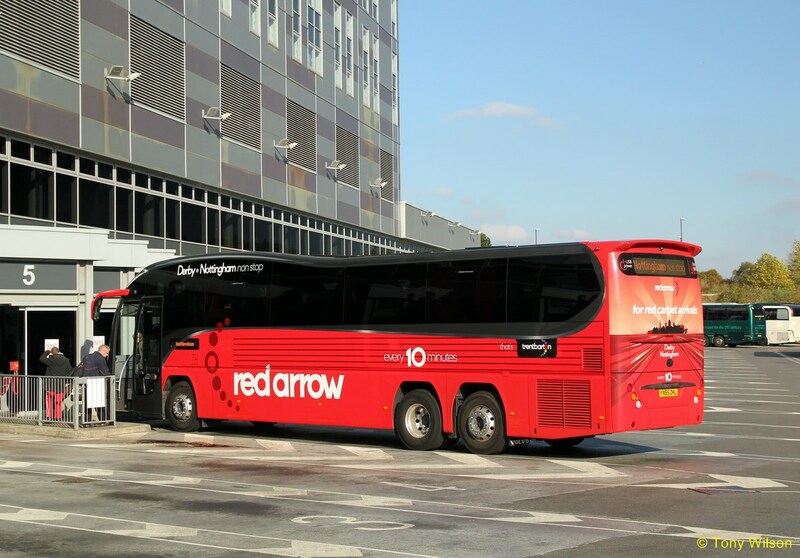 Sunday the 25th October saw changes to the Trent operated Red Arrow service. 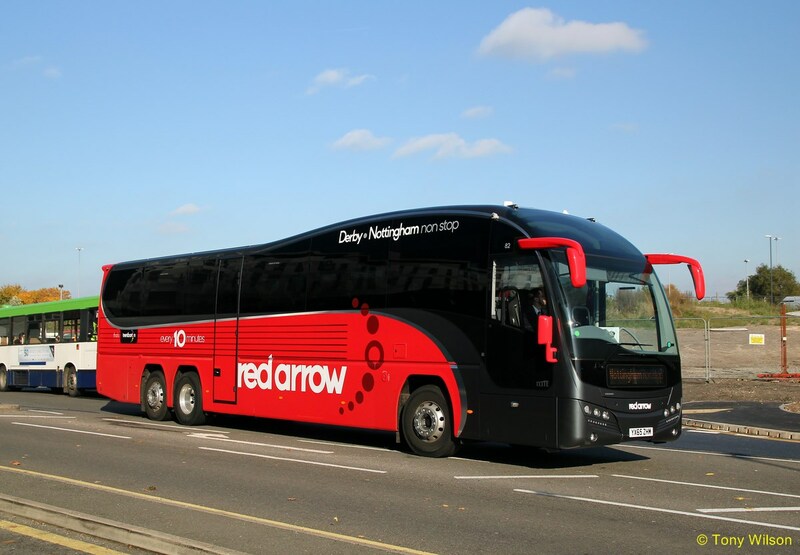 The main event on the day was the introduction of nine superb Plaxton Elite bodied Volvo B11RT tri-axle coaches. 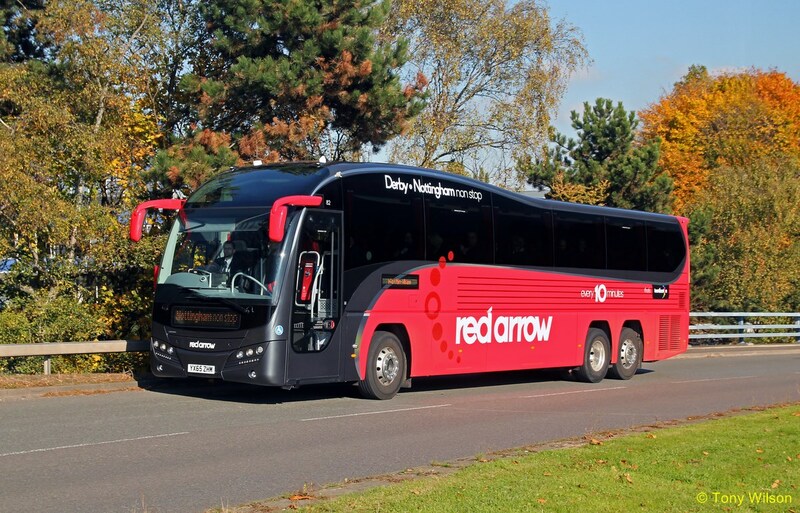 Complete with 57 seats, charging points and wi-fi, these now operate the section direct along the A52 between Derby and Nottingham, with just one intermediate stop at the Queens Medical Centre. The service runs daytime basically every 10-minutes Monday to Saturday and every 20-minutes on Sundays, with widened headways at other times. 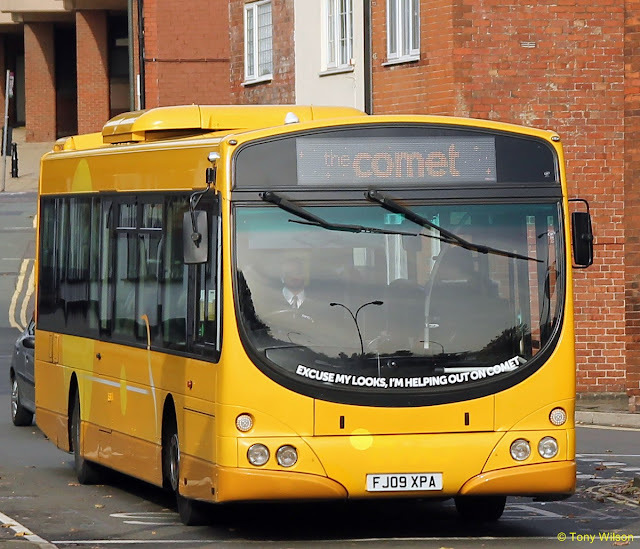 Since 1997 the service had also run north from Derby via Alfreton to Chesterfield, but only at best every 30-minutes. 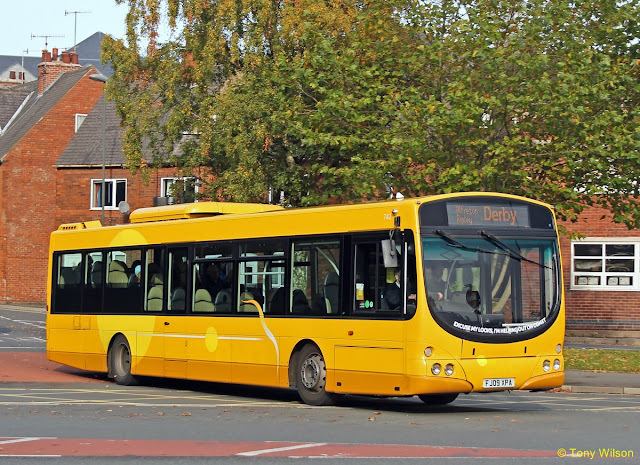 Earlier in 2015, this section was separated and effectively meant it was run as two distinct elements Derby-Nottingham and Derby-Chesterfield. Thus the opprtunity was taken to completely revise the northern section's identity, so from the same date this became known as The Comet. 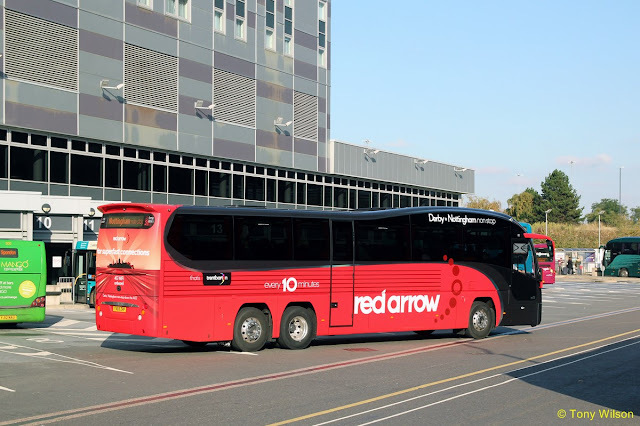 This will eventually be operated by existing low-floor Wright bodied Volvo buses in a completely revised livery, which at the moment can only be speculated upon. However, informed sources indicate that one should look out for whooshing objects on a dark background. 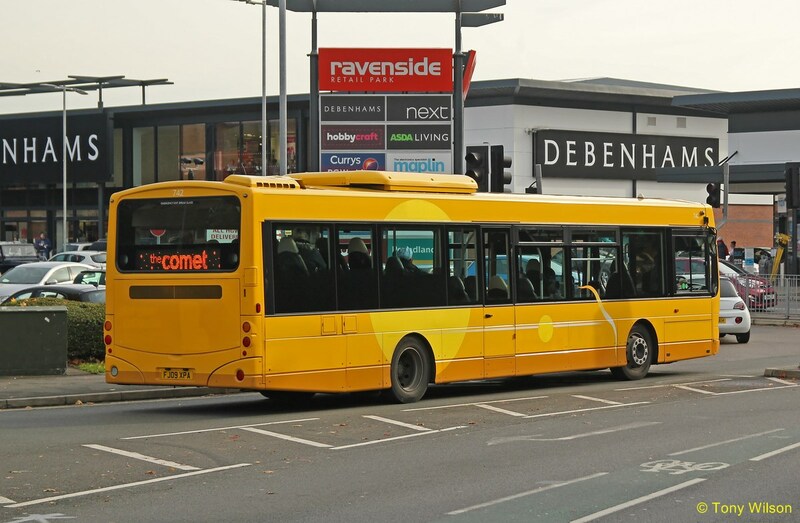 In the meantime similar yellow liveried vehicles cascaded from route 2 (Ikeston & Nottingham - itself upgraded with new Volvo/Wright), operate the service until the assigned buses are ready for take off.